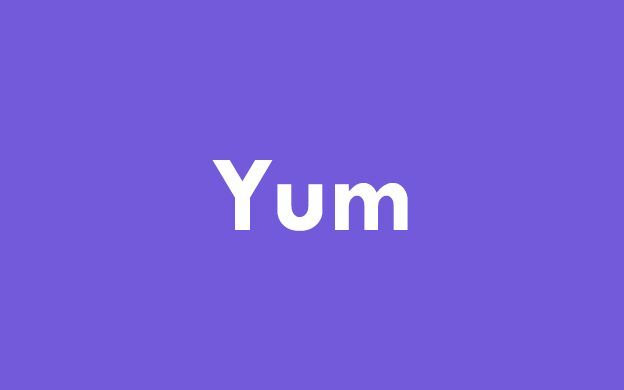 Yum is a package manager on CentOS. You will probably use it pretty often to install some software. In this article I will show you how to configure it, how to speed up packages installation and how to use something more than just yum install package-name. GPG checks are really important. They tell yum to verify signature of downloaded package. It lower the chance of installing suspicious packages from weird sources. Usually they are enabled, but it's worth to check that. in few files. The most important file is /etc/yum.conf Make sure that line above is present in [main] section. If it's set to 0 or line is missing, add it. If there are any other sections than [main], check them too. In addition to that you need to check all .repo files in /etc/yum.repos.d directory. Most of them will have gpgcheck enabled. If they have gpgcheck=0 you can either remove the line, or change it to gpgcheck=1. If you will remove the line, default from /etc/yum.conf will be used. You can install multiple packages at once by separating them with space. -y modifier will skip prompt with confirmation. That's it, it will be enabled from now on, you don't need to do anything else! There is an unwritten rule - the less packages the better. It's important from security and performance side. If you have less stuff installed you will be able to keep everything updated. You won't have to fix new security issue in package you don't need etc. There are couple of packages that can be safely removed from servers with CentOS. Command here will remove unnecessary packages from CentOS. If you plan to use MariaDB instead of MySQL, don't remove mariadb-libs! It's also good to use yum info command to check information about given package if you are in doubt that you need to delete it. There are some packages that can't be (easily) removed from CentOS. They are usually safe to update and it's worth to keep the up to date. But I prefer to update packages in few steps, so I can control everything. Sometimes there is an need to block certain packages from being updated or installed. You can block them in two ways. * means that anything that will be after git will also be excluded. Command above will update all packages, but git won't be updated or installed. Second option is to add same rule to /etc/yum.conf file under [main] section. It will affect all yum commands and you will not have to use --exclude. One thing that you should remember is that it might also affect other packages. For instance if you try to install/update package that has git as a dependency, you won't be able to do that. Check if there are any other packages to update? After I remove unwanted stuff, updates core and other packages and making autoremove I check if there are any other packages marked for update. If there are any other packages left for update, you should get info about them and update them or remove them from your system. If you have slower connection on your server, sometimes making yum update takes a lot of time. You can speed it up with yum-cron. It adds a cronjob that periodically checks for packages to update. It can also download them and install them automatically. Before running it I strongly suggest to remove automatic updates. It's OK to check for updates and download them, but you should NEVER install them automatically. They can really screw up your server (been there, done that (unfortunately...)). If packages are broken or have configuration changes they will break your server anyway, but it's way better to fix it right away, than break it with auto update at 2 AM. This entry was posted in Linux and tagged CentOS, yum on August 29, 2016 by astaz3l.